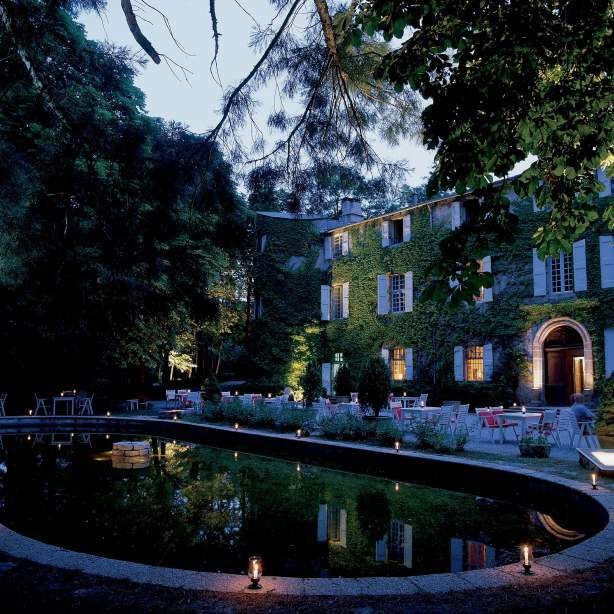 The Château d'Ayres is a 12th Century Benedictine Monastery and a 18th Century Castle located in a private park covering 6 hectares. 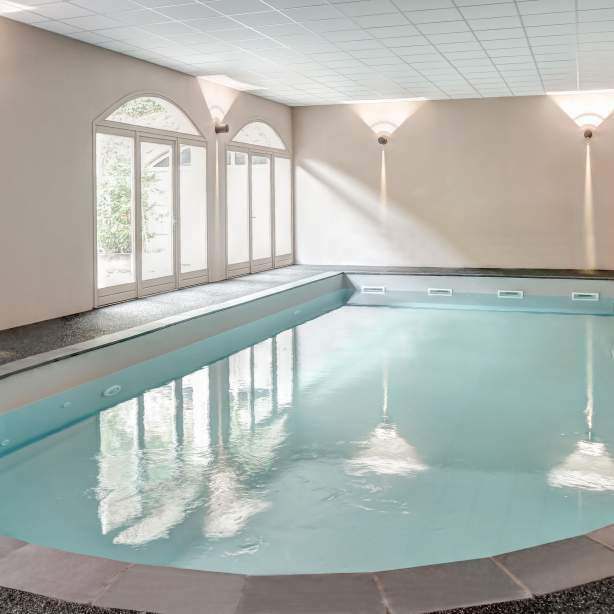 It is in a prime location in the heart of the Meyrueis, an ideal starting point for visiting the Tarn Gorges and Cévennes National Park. A lush green environment in a peaceful setting full of history . . .
To pamper you during an unforgettable stay. 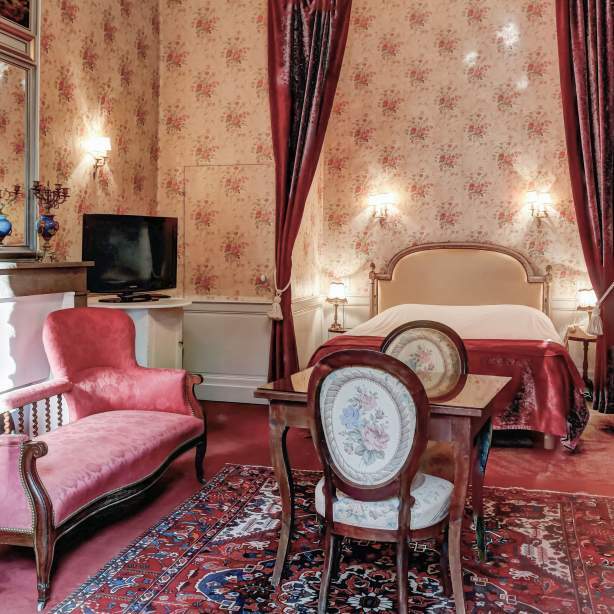 Jean François Montjou, owner of the domain will be happy to welcome you and offer you accommodation in one of 29 rooms and suites of the hotel. 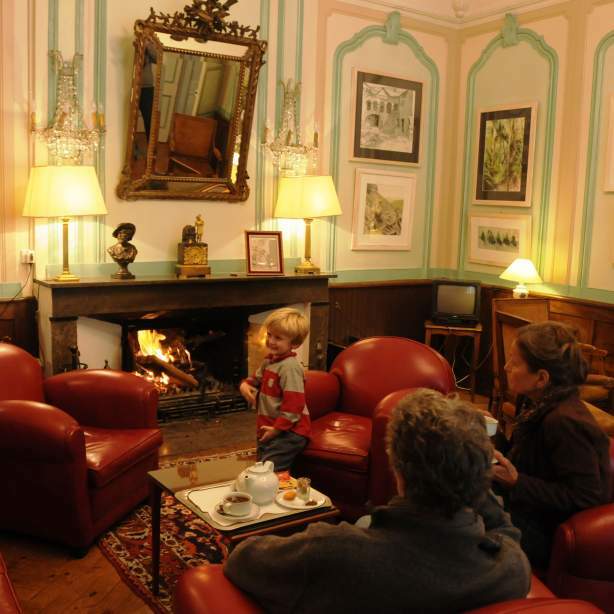 He also will be happy to receive you in the dining room or on the terrace in fine weather for a meal to Cévenoles and caussenardes scents. His wife, Helen, declines compositions developed from local products. 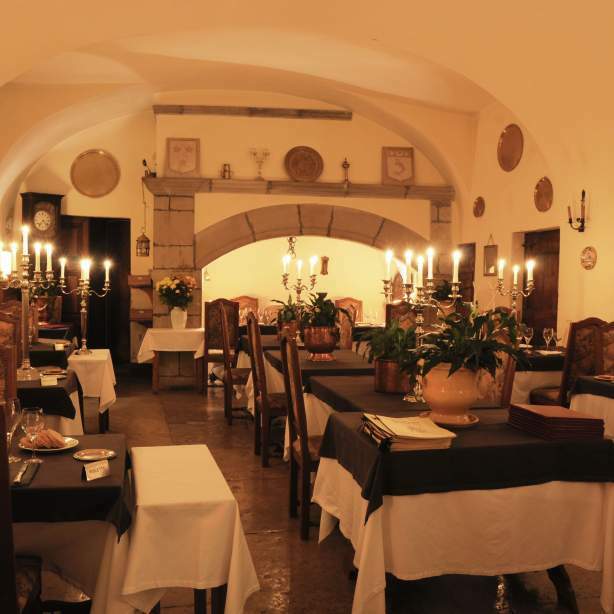 Several menus (including a children's menu) and a "La Carte" offer, allows you to discover the Lozérienne gastronomy, revisited and lightened to satisfy young and old. Top entertaining and seminars are welcome. 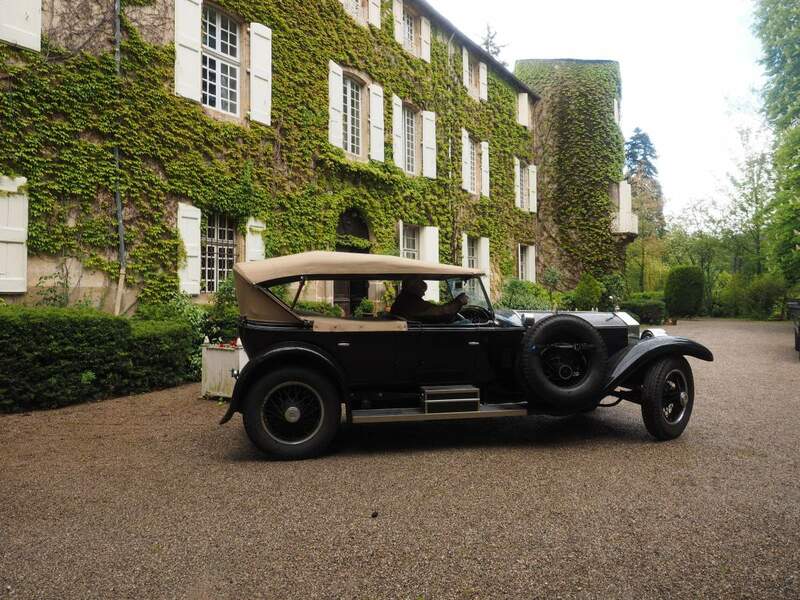 Château d'Ayres has the rooms and equipment for the organization of conferences or the welcome of private groups in a magical setting of course. 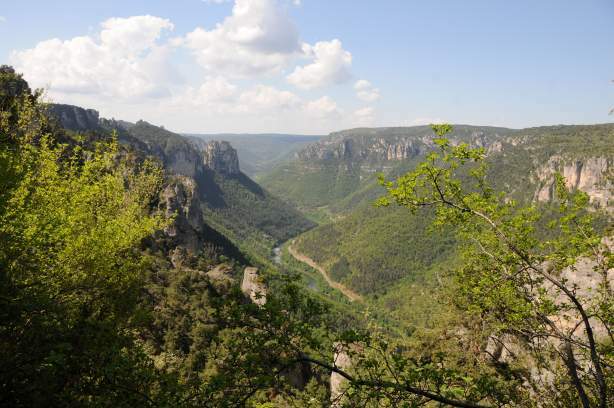 And of course the reception is at your service to organize the discovery of the Tarn Gorges, the Cévennes National Park and of this nature sculpted by the prodigious history of this country to the lunar reliefs. Jean Francois and Helene are waiting for you for an unforgettable moment in a setting where the walls speak to you ever in history and sweetness of life. 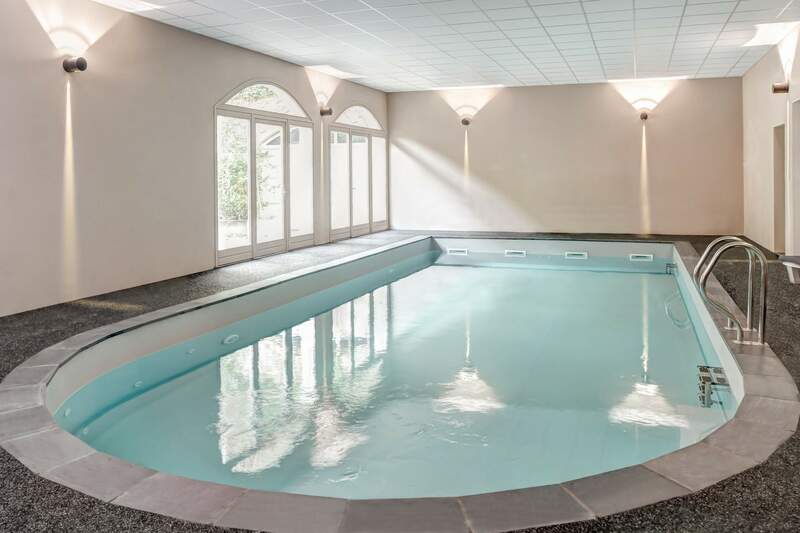 An indoor swimming pool to get hot over the winter. Find a hot water at a minimum of 26°C for a relaxing moment. (Open from the 12th February until the January 3). To see it click here. Une présentation de l'office de tourisme au carrefour de la Jonte et Gorges du Tarn au sud de la Lozère. Terroirs et nature du Sud Massif Central, le pays des Causses, Cévennes et Gorges du Tarn.